Junior FROGY is a social opportunity for 6th – 8th graders to get together and bond as a pre-cursor to FROGY. We plan a few events each year such as glow bowling and a trip to Launch Trampoline Park in Norwood. This group is open to Temple members only and there is no fee to join. The only cost is that of each activity. We have lunch as part of the whole outing as well. 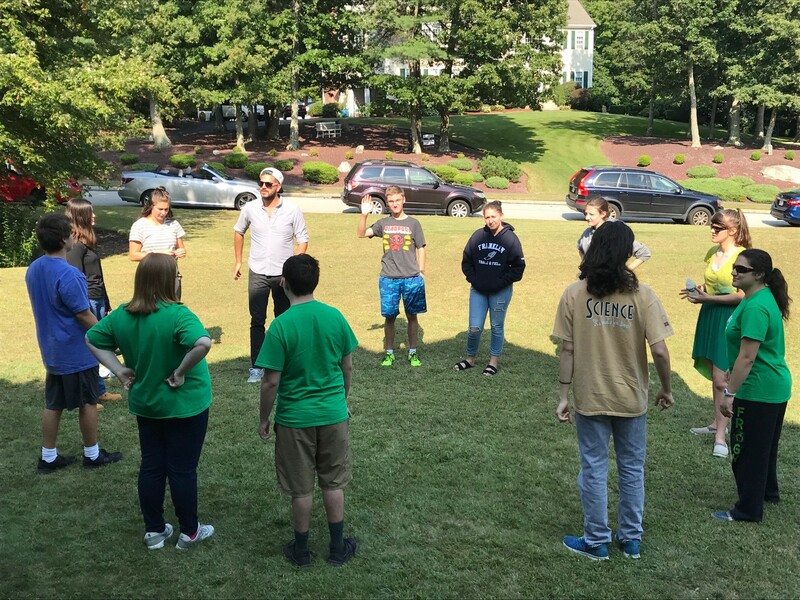 It’s a great opportunity for the kids to get to know each other beyond the school setting and build relationships that they can carry forward into FROGY and elsewhere. 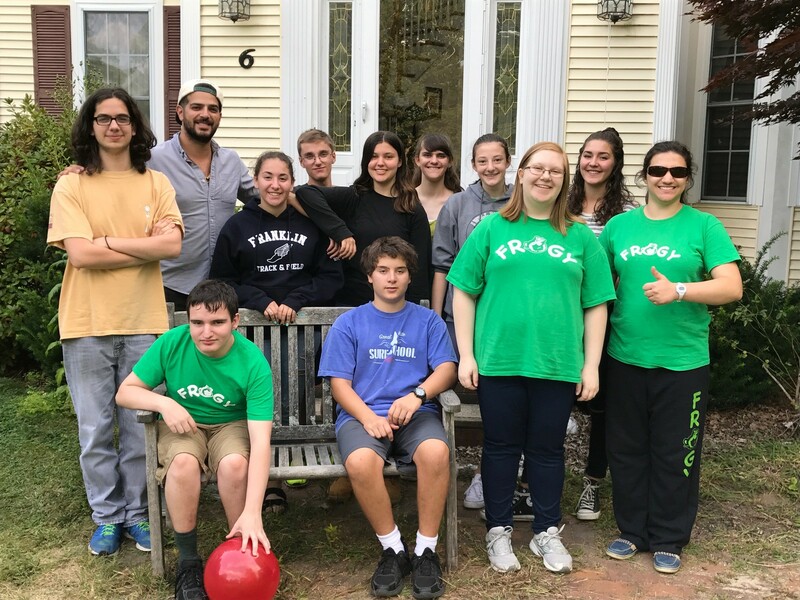 FROGY is the senior youth group (grades 9-12) of Temple Etz Chaim. We organize a variety of local events, like creative services and social events as well as fundraisers for tzedakah. Our FROGs also attend NFTY events. NFTY is the National Federation of Temple Youth, an organization of groups like FROGY across the country. 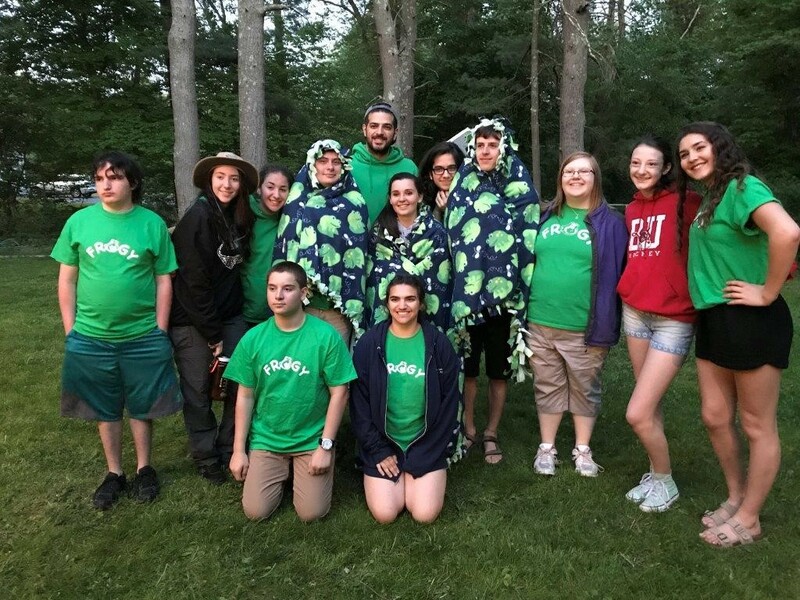 FROGY is part of the Northeast Region of NFTY, NFTY-NE. (By the way, NFTY-NE is the largest and most active region in the country! And we’re proud of it too.) During several regional events each year, almost one a month, we spend time with teens from other youth groups. We organize tons of fun events with nearby youth groups or just with FROGY. We attend the Davis’ Mega Maze each year in Sterling and race through a gigantic corn maze. We go to various regional events such as three-day conclavettes and five-day institutes. We’ve gone to see local shows (Shear Madness in Boston) followed by dinner at Fire and Ice. In recent years we have hosted two-day shul-ins at our very own Temple Etz Chaim. We have bake sales at Sunday School, as you’ve hopefully seen, and we also are in charge of collecting donations each year for MAZON, the Jewish Response to hunger. FROGY is always looking for new members and new suggestions for future events as well!